It's that time of year. Images of ghosts and ghouls are filling our neighborhoods, our shopping malls, even our grocery stores. But what passes as scary to the rest of the world doesn't hold a candle to the horrors Matt has been through. After all, what are witches and werewolves to someone who has spent his life wrestling with demons? Matt was born in Tempe in 1981. He describes his upbringing as “pretty much normal” compared to most kids. But shortly after Matt turned 12, something sinister took hold of his life and refused to let go. It started when he and his friends began experimenting with marijuana. The euphoria it gave Matt was so intoxicating, he was hooked instantly. By the time he was 16, he was a full blown meth addict. He dropped out of school to pursue a life of partying and stealing drugs to get high. Before long, he was arrested and sent to jail when he was 22. 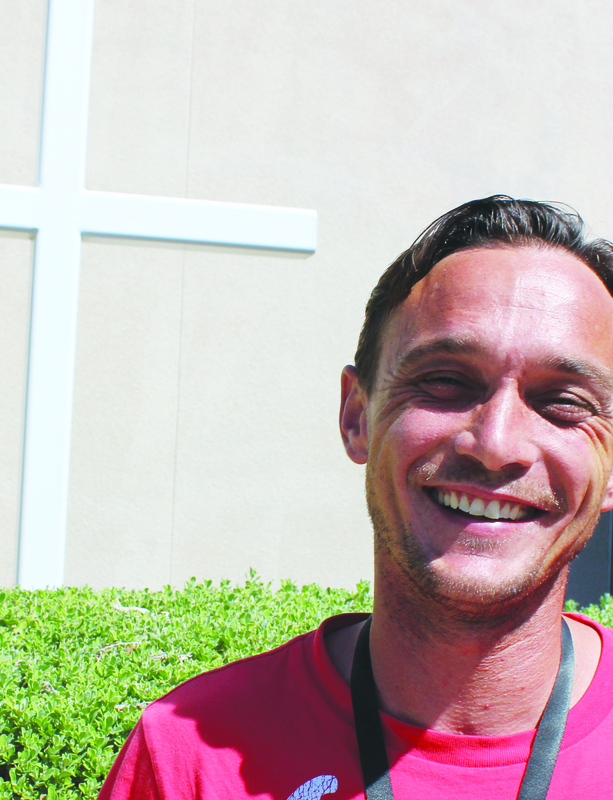 After release, Matt was mandated to a 12-step program that helped him find sobriety for the first time in his life. But his demons weren’t about to give up so easily. Just as Jesus warned in Matthew, as soon as Matt let his guard down his demons came back stronger than before. “The moment I got off probation, I went back to my old ways,” Matt admits. “But I needed more than meth. That’s when I got introduced to heroin.” Matt’s problems doubled in an instant. Suddenly, he was using two of the most dangerous and expensive substances on the streets. He knew he needed help. He enrolled in a halfway house and found a job to keep from returning to a life of crime. Things began to look brighter for a time. With help he was able to kick the habit once again. But when he lost his job and moved back in with his mother, the familiar surroundings of his old neighborhood pulled him back into addiction. He fell quicker and deeper than he ever had before. “There wasn’t a day that went by that I wasn’t getting high,” says Matt. It was non-stop drug use for 14 months straight.” This last binge took everything from him. He was living on the streets for months before being picked up by police. Fortunately when he was released, a supernatural experience put him on the path to redemption. “It was 4:30 in the morning when I was released from jail,” Matt remembers. “I started walking down 35th Avenue. I had no plan, no idea what I was going to do next. I didn’t know anything about Phoenix Rescue Mission, but suddenly I looked up and there I was. It didn’t hit me then, but looking back, it was an encounter with God that led me here.” Matt checked into our Men’s Recovery Program, where he found the kind of support and counseling he needed to change his life once and for all. While he’s been a client, he’s found sobriety, he’s regained his driver’s license, through our partners he’s received free dental surgery. But best of all, he’s found a relationship with God that will last him throughout eternity. “I had heard about God before coming here, but I never knew much about Him. But that’s all changed," Matt says with a smile. “Coming here is the greatest blessing that’s ever happened to me. I’m ready to go out there again and succeed.” Thanks to your support, Matt has found the path to real, permanent freedom. Together, through Christ, we're removing the chains of addiction that hold so many like Matt hostage and giving them hope for a bright new future.